With the $175 billion New York State budget locked in for 2020, so too is congestion pricing on drivers entering Manhattan below 60th Street. While the specifics have yet to be hammered out, the plan is the first to be imposed in the United States. Charging drivers who enter Manhattan’s central business district (CBD) is expected to have a number of effects: reducing traffic, cutting pollution, and raising money for the beleaguered subway system, managed by the state-controlled Metropolitan Transit Authority (MTA). That last point had previously caused tension between Governor Andrew Cuomo, who supported congestion pricing as a way to raise money for subway repairs, and Mayor Bill de Blasio, who wanted to impose a “millionaire’s tax” on high earning New York City residents. The price that each driver will be charged upon entering or exiting the CBD has yet to be determined, but a six-person Traffic Mobility Board will determine the fee before the plan goes into effect. It should be noted that the board will be composed of one member selected by the mayor, and the rest being residents of areas served by the Metro-North Railroad or Long Island Railroad (LIRR), New York’s major suburban train lines, also managed by the MTA. Drivers will only be tolled once per day, through a series of EZ Pass cameras—or, if the driver lacks an EZ Pass, license plate-snapping cameras—mounted in yet-to-be-determined locations. Governor Cuomo’s Fix NYC Advisory Panel, which released its final report in January of last year, had suggested charging personal vehicles $11.52 to enter Manhattan, charging trucks $25.34, and $2-to-$5 for for-hire vehicles. 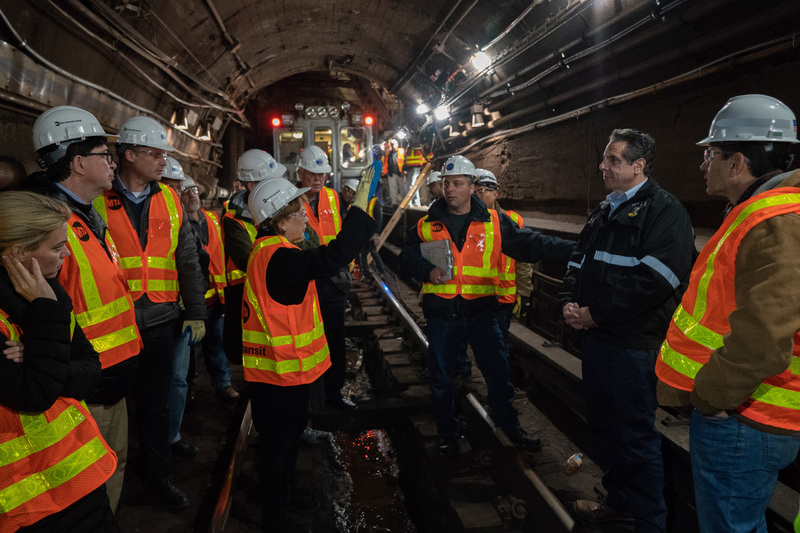 The program hopes to raise $1 billion through congestion fees annually that the state will use to back $15 billion in bond sales to fund repairs to the ailing subway system. While the budget promises to carve out exemptions for lower-income drivers, 80 percent of the funds raised will go towards subway and bus-related capital projects in the city, and the remaining 20 percent will be set aside for the Metro-North and LIRR. Additionally, the program will be set up and administered by the Triborough Bridge and Tunnel Authority (TBTA) part of the MTA, in collaboration with New York City’s Department of Transportation. Handing over the program to the state, and, in particular, Westchester and Long Island in the case of the Traffic Mobility Board, has riled up online transportation activists, who feel the congestion plan was a move by the state to take more control of NYC’s streets. Because the Traffic Mobility Board members are appointed by the MTA, they have the discretion to reject the mayor’s appointees. With so much of the plan still left to be filled in, the earliest that drivers can expect to begin paying is the end of 2020, if not sometime in 2021.